Heat 12-inch nonstick skillet over medium heat. Sprinkle pork roast with salt and pepper. Add roast to skillet; cook 8 to 10 minutes or until browned on all sides. 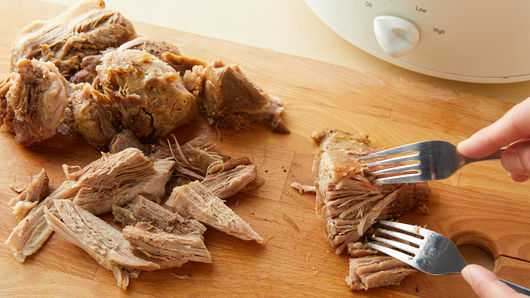 Place roast in 4- to 5-quart slow cooker. About 40 minutes before serving, remove roast from slow cooker and place on cutting board; discard liquid in slow cooker. In slow cooker, stir together all remaining ingredients. With 2 forks, shred pork roast. Return pork to slow cooker; stir gently to mix with sauce. 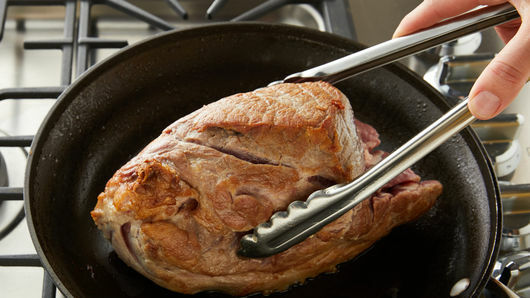 Increase heat setting to High; cover and cook 30 minutes longer or until thoroughly heated. Serve on buns. In a hurry? We’ve got an Instant Pot™ version just for you (and it has only 5 ingredients!). 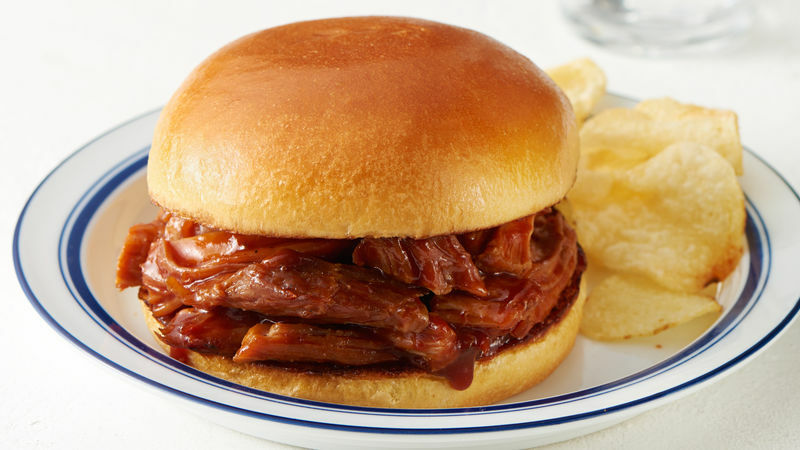 Did you know traditional recipe cook times can be adjusted for using your slow cooker? Our conversion chart breaks down cooking times between traditional stovetop or oven instructions by low or high slow cooker settings. To cut down on cleanup time, use slow cooker liners (like these ones from Reynolds) to save you from scrubbing. When you put hot ingredients into a cold slow cooker, everything has to heat back up again, which can tack on an extra 15 to 20 minutes of cooking time. You can save those additional minutes by preheating your slower cooker before use. Round out your protein-packed meal with a leafy green salad. Check out our salad recipes for more ideas.